When it comes to Mother's Day, there are many gift options but few are better than a hand decorated card. If you're searching for a Mother's Day card to color, try these printable cards that are just waiting for a creative touch. To print a card, first, download the card. Next, click the printer icon and follow the on-screen instructions. Printing Mother's Day cards is fun and easy. To download the card, you can follow the instructions to print it. If you need help downloading and printing a printable, then check out the Guide for Adobe Printables. Once printed, these cards are designed to be folded in half. The image is on half of the page, and you can write or add your message to the other half of the card. Then, you simply fold it to make a half page card your Mother will love. This sweet card shows a kitten hugging its mother and says, "I Love You, Mom." The image is surrounded by flowers and the large coloring areas make this a great option for younger kids. 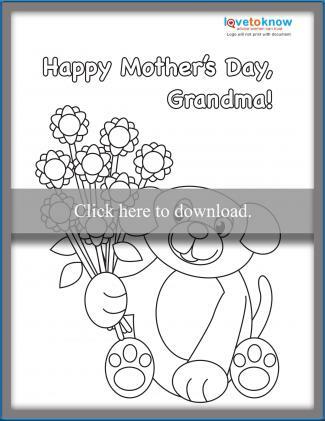 Kids will love coloring this adorable puppy presenting a flower bouquet to Grandma. The sentiment reads, "Happy Mother's Day, Grandma!" This card is great for kids of all ages but older kids will especially enjoy coloring this intricate bouquet of tulips with a large bow. The greeting reads, "Happy Mother's Day!" Print the card on colored cardstock or thick colored paper instead of white paper. Color and trim around the image and paste the image on card stock. Hole punch the top of the card and thread a piece a yarn through to make a hanging card. Go beyond crayons and markers and embellish the card with stickers, glitter, tissue paper or sequins. Add a child's handprint to the inside of the card. Add a poem about Mother's to the inside of your card. Go funny with funny Mom Poems. Try adding a poem about family to show how much your Mother means to you. Customize your message with a Mother's quote. 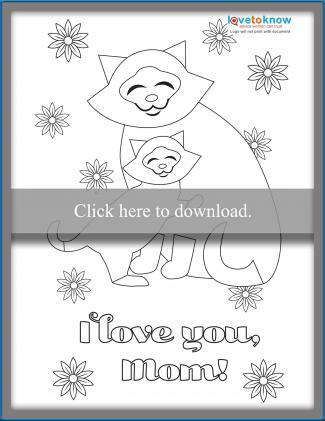 Print out, color and glue Mother's Day clip art to your card to give it a bit more pizzazz. Don't forget to sign and date the card. Busy Bee Kids offers a card that honors Mom as queen for the day. Disney Family has a Mother's Day card featuring the beloved character Bambi and his mother. They also have a Sleeping Beauty option. Get this cute teddy bear holding a heart balloon bouquet from My-Free-Printable-Cards.com. 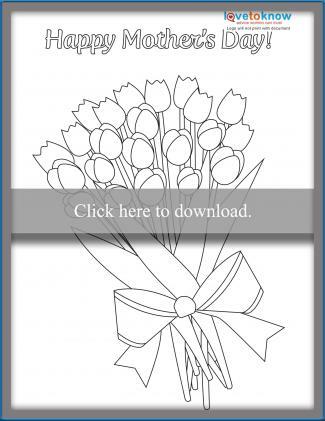 Got Free Cards offers an array of different free printable coloring cards for Mother's Day. You can find chicks, kangaroos and Teddy's, oh my. Mother's Day gifts don't have to be expensive. 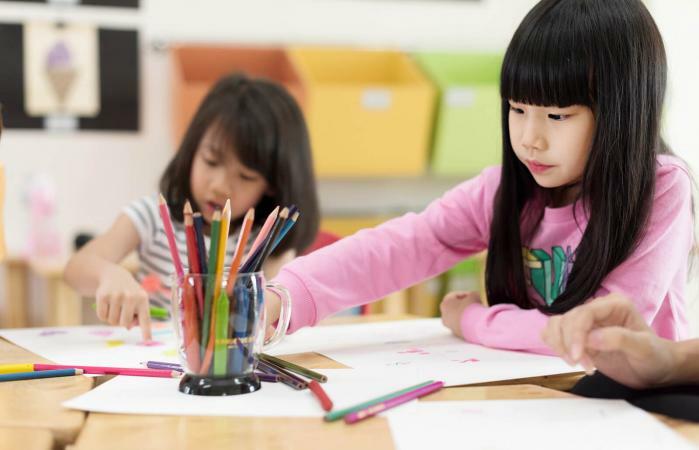 A little imagination and a printable card to color are all kids need to make a treasured keepsake. Homemade cards are a great way to let Mom, Grandma or any special lady in a child's life know how much she is loved and make Mother's Day memorable.